The Town of Edgartown holds a permit from the Federal Energy Regulatory Commission providing it with the exclusive rights to develop a tidal energy project in the Muskeget Channel, located between the islands of Martha’s Vineyard and Nantucket. The Tidal Energy project will be developed in two phases: a pilot 1.5 megawatt (MW) project followed by a full-scale deployment of 10-15 megawatt (MW) project. 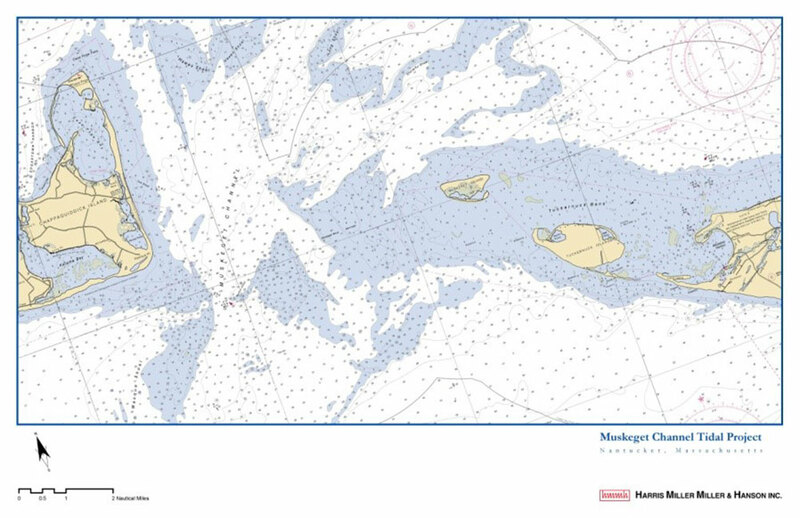 Funded by a grant from the U.S. Department of Energy, HMMH managed a comprehensive study of the marine environment in the Muskeget Channel and potential impacts of the Project on indicator species and habitats. HMMH directed research performed by the Woods Hole Oceanographic Institution, the University of Massachusetts Dartmouth, and the Provincetown Center for Coastal Studies to collect baseline environmental conditions and predict potential impacts from the two predominant tidal turbine technologies (i.e., open bladed and helical). The research evaluated environmental resources that may be altered by the operation of tidal turbines in the Muskeget Channel, including changes in sediment transport and benthic (riverbed) habitat, colonization of mooring by marine vegetation and animals, and direct and indirect impacts on protected species including seals, sea turtles and whales. HMMH communicated the findings of the research with local stakeholder groups, state and federal resource agency staff, and the ocean power industry. The information was also used to prepare environmental permit applications and obtain approvals for project construction.